Hannon, Irene. Tangled Webs: Men of Valor Series- Book 3. Grand Rapids, MI: Revell Publishing. 2016. As one of my favorite suspense writers, Irene Hannon has done it again. She has written yet another book I had trouble putting down. (I probably should have known to clear my calendar before even picking it up.) 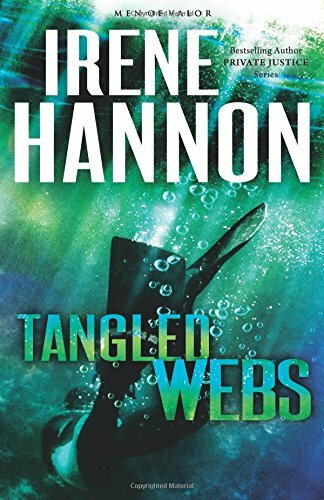 Having read the previous books in this series, I can honestly say Tangled Webs was the best. Not sure how she does it, except that Irene Hannon is very blessed with words. I look forward to her next book, Sandpiper Cove, due out in spring of 2017. This entry was posted in Christian Books, Christian Suspense and tagged Christian, Christian Author, Christian Book Review, Christian Contemporary, Christian Fiction, Christian Romance, Irene Hannon, Men of Valor Series, Mystery, Suspense by Savurbks. Bookmark the permalink.